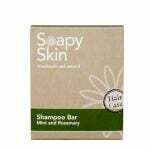 1 – Using a shampoo bar is fantastic for those of you who suffer from sensitive skin, including eczema and psoriasis. 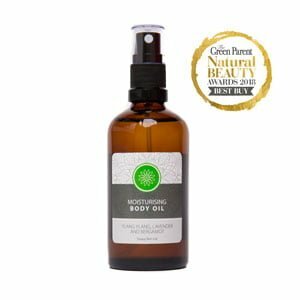 It offers an alternative to liquid shampoos by only using 100% pure natural plant oils, which are easily absorbed and are nourishing to your hair, scalp and skin. 2 – No harsh chemicals. Reports show EDTA to cause grave health issues if used in large quantities. Large cosmetic companies choose not to eradicate this ingredient from their products, as it lengthens the shelf life and increases their profit! Another addition to most liquid shampoos is SLS (Sodium Lauryl Sulphate), as it is a cheap synthetic cleansing agent and creates lots of foam when mixed with water. Most customers associate the lather with greater cleansing properties, however this powerful detergent can be irritating to the skin, and so it is not surprising that it can cause scalp problems when frequently applied as part of a shampoo: it is recognised as being one of the most irritating of the foaming agents. 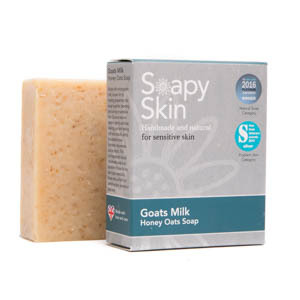 The fact it is merely used in order to increase sales and revenue is not an acceptable reason to add this ingredient to our natural shampoo bars! 3 – An eco-friendly product. 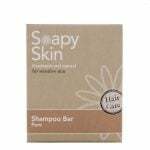 We package our shampoo bars in biodegradable cardboard, unlike the plastic bottles used for liquid shampoo. 4 – Eliminates the worry of liquids leaking all over your holiday clothes or gym bag! 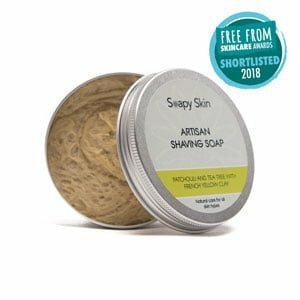 5 – Compact and light, and can easily double up as a soap for those long weekend breaks or summer festivals. 6 – Carefully sourced ingredients. 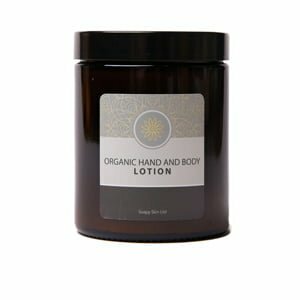 All our ingredients are from sustainable sources, which includes our RSPO certified palm oil, and organic cocoa butter. 7 – Not tested on animals. No animals were harmed or mistreated in the creation of our shampoo bars. 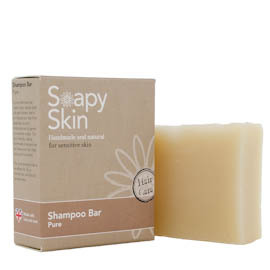 Click here to take a look at the Soapy Skin Shampoo Bar Range.